Tousant has been in our home visit program in Dumay since it's inception in 2011. When we first met him, though he could stand up, he was scooting around his yard on his bottom, planting corn in his yard. There were stalks of corn coming up between the rocks all over his quarter acre yard. At that time, his house was a humble shelter, leaning heavily to one side and made up of sticks and mud. A few years after we first met up with him, he had a plywood house built by a non-profit that built a few homes in Dumay in response to the earthquake. He lived alone, but all of his neighbors worked together to make sure he had what he needed. We occasionally sent him food and new clothes when he needed them. Most often, he was just really happy to have us visit and bring him vitamins to supplement his diet and Acetaminophen to help him cope with his knee pain. He always said he would pray for us to come back and see him again soon. The running joke with Tousant was no one knew how old he was, including Tousant. We tried to figure out by asking him to tell us historical stories from his childhood - who was president, any big events. He told us fantastical/mystical stories about things that happened in Haiti when he was a child. I'm sure there was a grain of truth in the stories, but none of our Haitian staff could make sense of them. After a few months of illness and being cared for by his daughter, Tousant recently passed away and is survived by his daughter and son. We miss his humor, his kindness and his mystical stories of Haiti. In August, Tracee delivered a portable Ultrasound machine to the Center de Santa de Dumay. Now we can offer imaging, to help diagnose and treat our patients. January’s mission was the culmination of planning, partnership and perseverance over many years. HAM board members, doctors Laing and Janine, had long envisioned bringing an eye surgery team to Dumay to utilize the surgery room at the Dumay clinic. 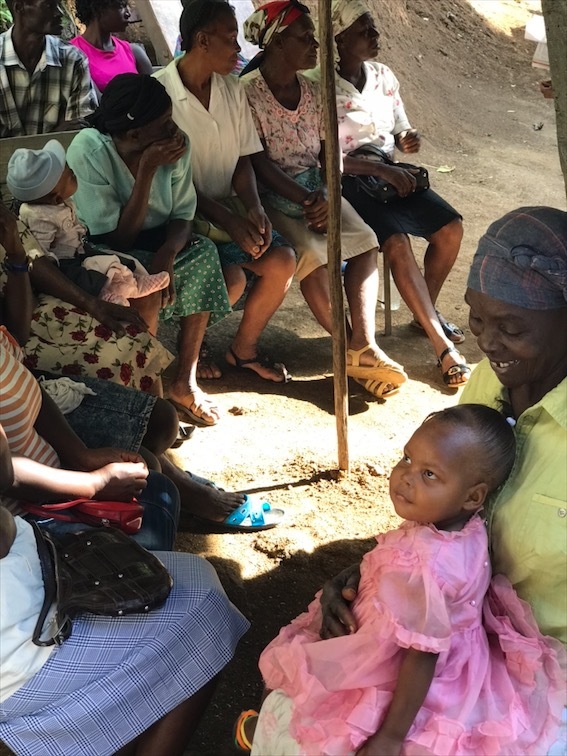 Populations in tropical climes with intense sunlight are highly susceptible to cataracts, and having encountered many cataract cases at the eye clinic, they deemed the need for access to such surgeries as significant. But cataract surgeries require an operating microscope, a large and expensive piece of equipment, so in 2014 we put out a call to HAM’s network of partner organizations stating our need and requesting they keep their eyes open. Within a year, our partner the SEVA Foundation in Berkley, CA informed us that they had located a used operating microscope in good condition which could be donated through their organization. The only hitch was we would have to deal with transportation of the large microscope from Berkeley to Dumay. We immediately contacted another partner organization, Direct Relief International in Santa Barbara, CA and asked if they might allow us room on their next container shipment of supplies to Haiti for the microscope. When they generously agreed and Dr. Laing and Paul Hammond picked up the microscope in Berkeley and had it crated and trucked to Santa Barbara. The microscope departed Southern California on a ship early in 2015 and arrived in Haiti in May. After several months in a Haitian port working through the complicated Haitian customs process, we finally took possession of the microscope in Haiti last August. At the same time the microscope was leaving port in the U.S., Dr. Janine contacted an old friend from optometry school, now a successful eye surgeon, Dr. Brian Stahl, in the Dayton, OH area who had been leading eye surgery missions in Africa, South and Central America, and Jamaica, to see if he was interested in adding Haiti to his mission list. In a certain case of serendipity, Dr. Stahl had been wanting to work in Haiti but had yet to find a suitable partner there to work with. Forging a new partnership, we immediately began work on scheduling a mission to Dumay. 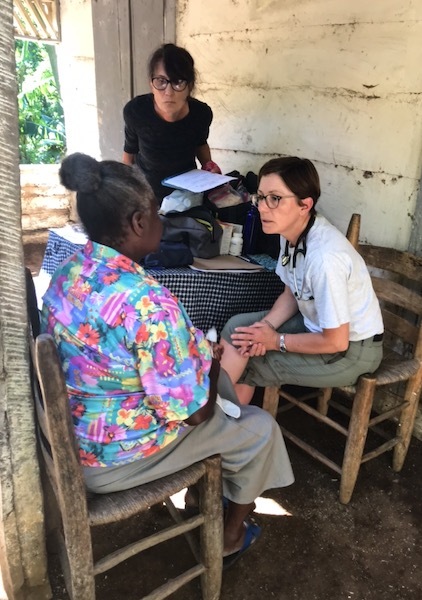 Next, work began in Haiti to locate, educate and screen potential cataract patients in the Dumay area. 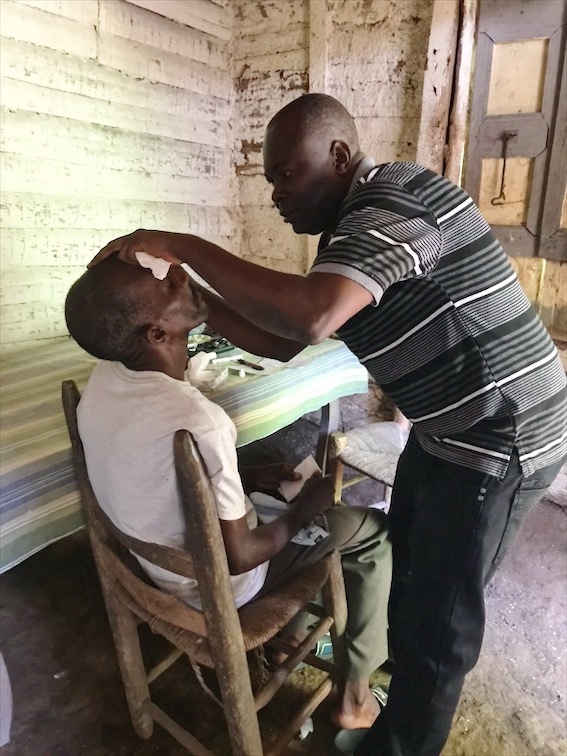 HAM’s Haitian eye technician, Charles, and the Haitian ophthalmologist who visits the clinic one day a month, Dr. Marcelus, worked to get the word out, inform and screen a rural and uneducated population about the possibility and potential for individuals to gain back their sight. Fear and superstition abound in Haiti and the challenge of recruiting patients to undergo a knife carving into their eyes can not be understated. This confluence of luck and hard work would now be put to the real test when Dr. Stahl and his team of assistants from “Go Crazy do Good”, Mindi Grissom, Diana Ernst, Ashley Gullett, along with assistance from Dr. Janine and her sister and fellow HAMboard member Connie Immel Ray arrived in Dumay on January 22nd. This weekend will mark HAM’s first trip to Haiti of 2017. HAM board members Dr. Tracee Laing, Dr. Janine Flood, Connie Ray and Paul Hammond will be joined by ophthalmology surgeon Dr. Brian Stahl and his support team to perform cataract surgeries on as many as 50 Haitians over four days. 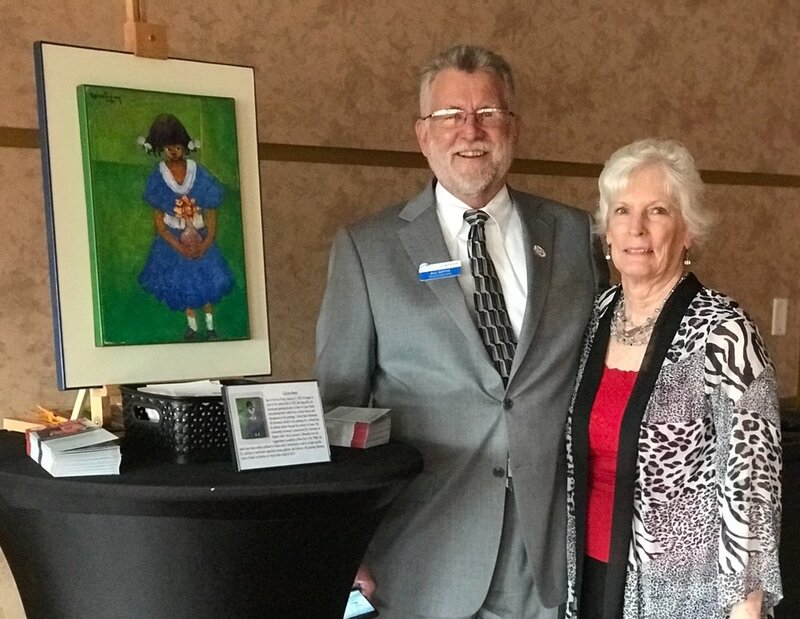 We are most excited to host Dr. Brian’s non-profit organization, Go Crazy, Do Good which has completed over 19 mission trips to Nicaragua, Guatemala, Bolivia, Uganda Africa, Ivory Coast Africa, and Jamaica, for their first mission to Haiti. The team will be supported by HAM’s newly acquired surgical microscope donated through our partner the SEVA Foundation and transported to Haiti via another partner, Direct Relief International. This project is a great example of the benefits of the working partnerships with other aid organization HAM has cultivated over the years. We hope you’ll follow our team’s updates via our FACEBOOK PAGE.